Marking yet another step in its recent growth and expansion across the AM industry landscape, London-based 3dpbm is partnering with SmarTech Publishing, selecting the US-based market research firm as its exclusive provider of AM industry data. As per the agreement, 3dpbm will also provide AM industry-wide communication support for SmarTech’s publications and reports. The Smartech Publishing-3dpbm alliance will serve to provide more complete and widely accessible information on the latest evolutionary trends in the AM market. SmarTech Publishing is a leading provider of vertical- and materials-specific market data, analyses and forecasts for the AM industry. The company, founded by Lawrence Gasman, has built the most extensive database for AM hardware, materials, software and part sales in every major AM vertical segment. Leveraging its unique network of industry contacts, it is able to provide the most up-to-date and accurate information on the latest market trends. 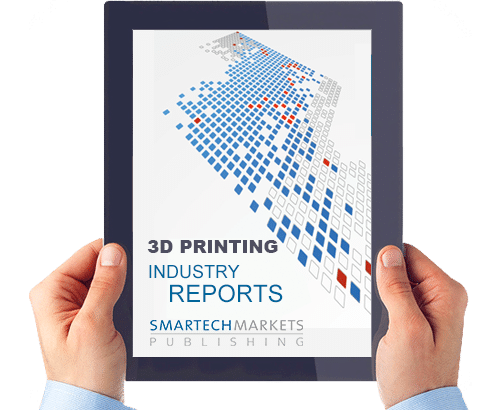 Over the years it has published reports on all the important revenue opportunities in the 3D printing sector including aerospace, automotive, industrial automation, 3D printing materials, medical/dental markets and other promising 3D market segments. Through its network of online editorial properties and partners, 3dpbm is emerging as a leading reference for day-to-day product and company news, opinions and reportages from the global 3D printing landscape. 3dpbm’s own database of AM companies is today the largest global index of companies that operate within the additive manufacturing industry. The company also stands out as a specialized communication agency for the AM industry, having expanded its product offering to include a wide range of communication services through all media platforms, ranging from social media campaigns to video production, webinars and events. With this partnership, SmarTech will become 3dpbm’s exclusive provider of market data and information for AM industry verticals. 3dpbm will provide communication and PR services as well as extensive editorial coverage for SmarTech’s publications through all its communication channels, including proprietary websites (3D Printing Media Network, Replicatore, Replicador) social media, editorial and media partnerships, newsletters, direct mailings to its community of AM professionals and more.